I participated in this sponsored campaign for One2One Network. All opinions stated are my own. 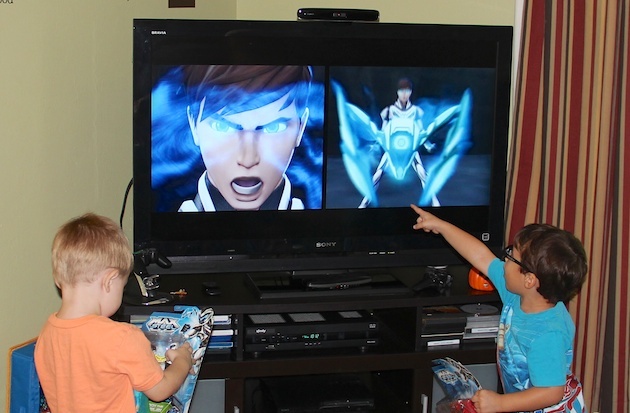 My kids love Max Steel and were super excited to be able to host a party with their friends. I had the Turbo Sword sitting above them on a shelf as incentive to be good throughout the week! They could not wait to get their hands on that sword. It lights up and makes all kinds of cool sounds. 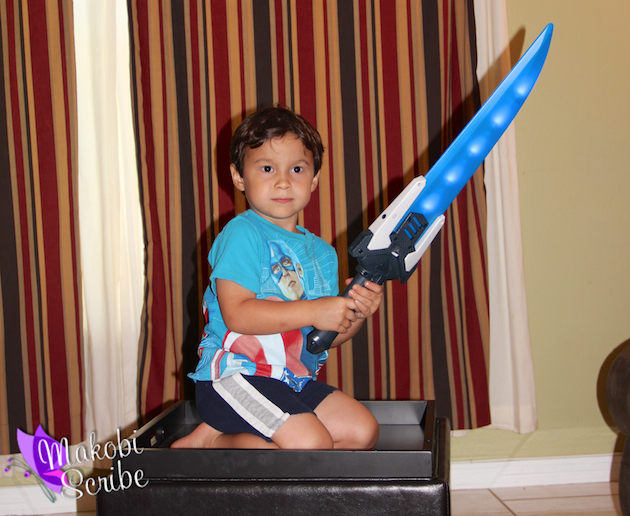 You can also add other Max Steel toys to the sword for interactive play. Mostly my kids wanted to take turns being King of the mountain! 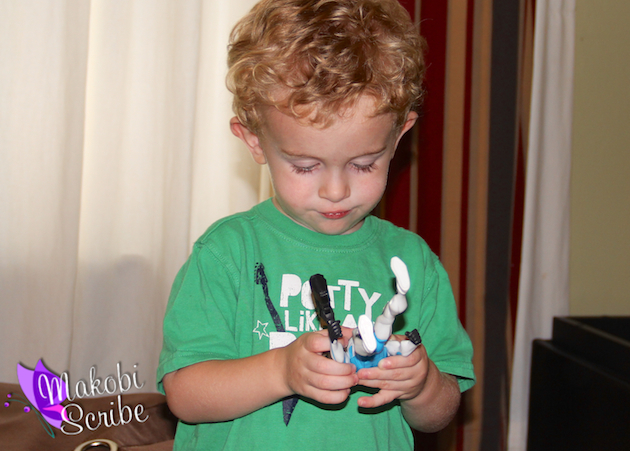 While we had the Max Steel movie on, the boys acted out the adventures with their favorite Max Steel toys. The toys all had built-in motion sensors which made for a noisy, but fun, morning. The sword made battle sounds, it lit up and said phrases from the animated series. The boys thought it was pretty fun! 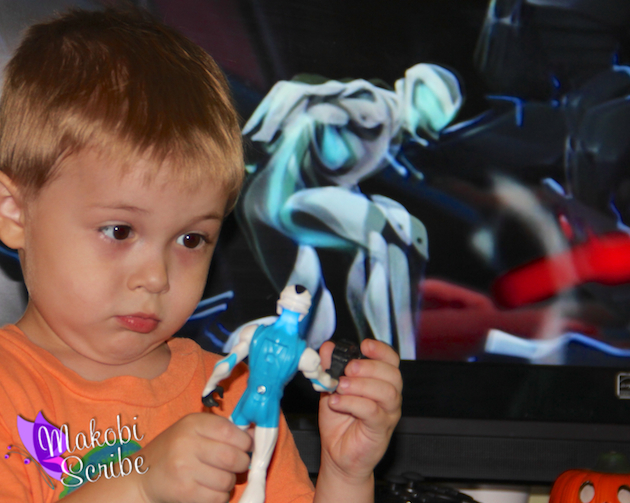 The Max Steel toy line has action figures which sell for $5.99. You can also find Max Steel costumes which range from $21.99-27.00. I know my kids love dressing up as their favorite heroes. 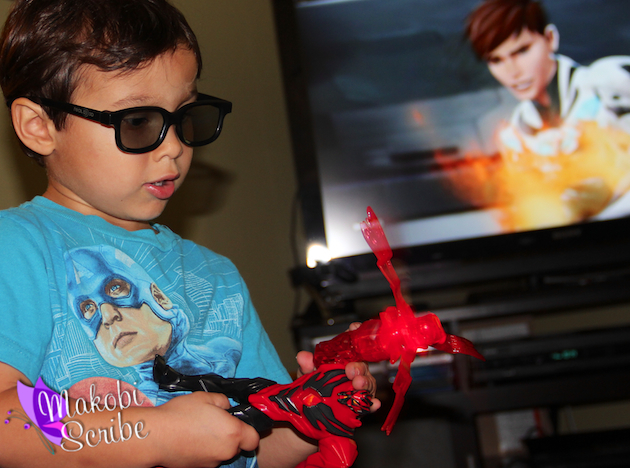 You can find more information on the series and what is available at MaxSteel.com. You may not be familiar with Max or what he stands for, so I will fill you in on all the details. A high school student by day and superhero by night, Max and his friends team up to join their powers together to fight evil. I like the theme of teamwork and as individuals they are great, but when they work together they are stronger! Laced with humor, Max and Sidekick Steel banter back and forth to bring life to the series. You can tell their friendship is strong and they have an unbreakable bond. The power of two is better than one! The cartoon was cute and entertaining. It was funny to watch them try to be the characters they were watching on TV. 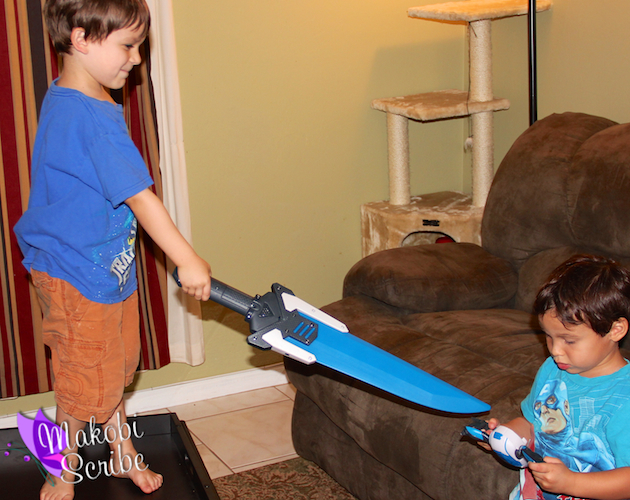 If you think your kids would have as much fun as my son and his friends, the Turbo Sword can be purchased at retail stores nationwide at around $29.99.